The drive towards 5G has just become a bit more interesting. In a move that could lead to the biggest tech takeover ever, Broadcom has bid $130 billion to buy rival firm Qualcomm. 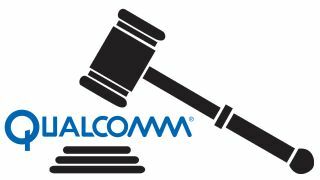 However, according to the FT, Qualcomm is set to reject the deal, raising the prospect of a fight for the future of the company. These are certainly exciting times in the world of silicon. The bid follows a series of deals in the components market. The last couple of years has seen Softbank buying ARM and Intel snapping up Altera, but this proposed deal would top the lot. Broadcom president and CEO Hock Tan said the bid was “compelling for stockholders and stakeholders in both companies. ... We would not make this offer if we were not confident that our common global customers would embrace the proposed combination,” said Tan in a press statement. The proposal is part-cash and part-stock and entails an offer of $70 per share, representing a premium above 25%. However, according to the FT report, the board considered this bid as far too low with one insider describing it as opportunistic. Shareholders of both companies seemed to approve however – the share price of Qualcomm and Broadcom rose as news of the bid emerged, Whether this feeling of optimism will persist in the face of takeover battle remains to be seen.